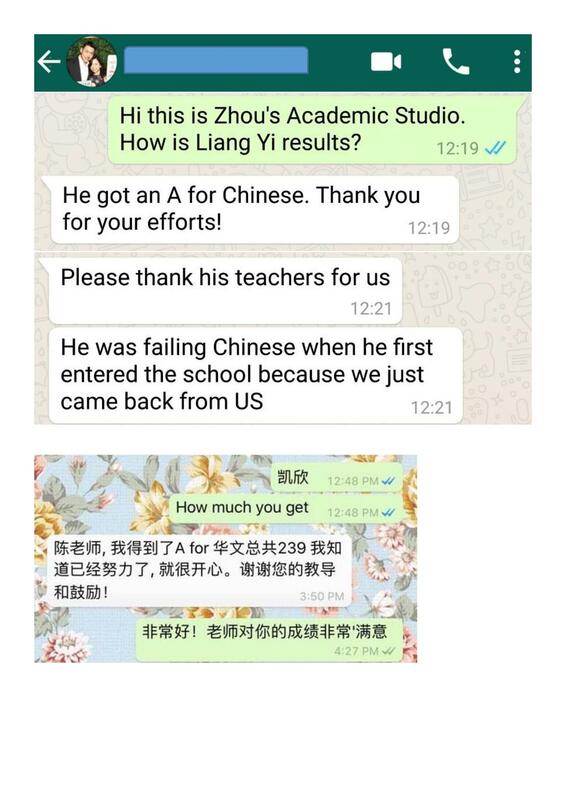 This learning centre to me is very different from the rest, in a unique way, despite the group sessions, I feel that the tuition is still very catered towards the needs of individuals and the teachers are definitely more than capable of helping your child get an ‘A’ grade and above. It is then dependent on your child’s effort. 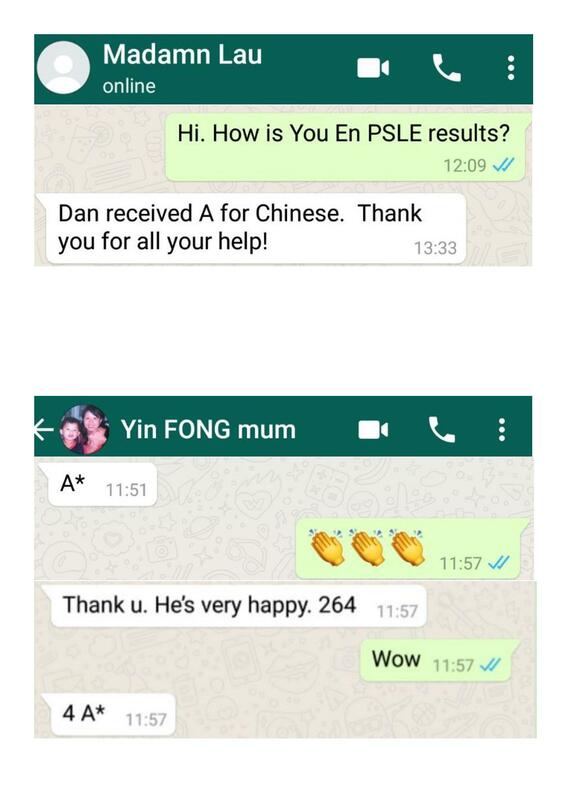 He scores A in “O” Level Chinese 2012. 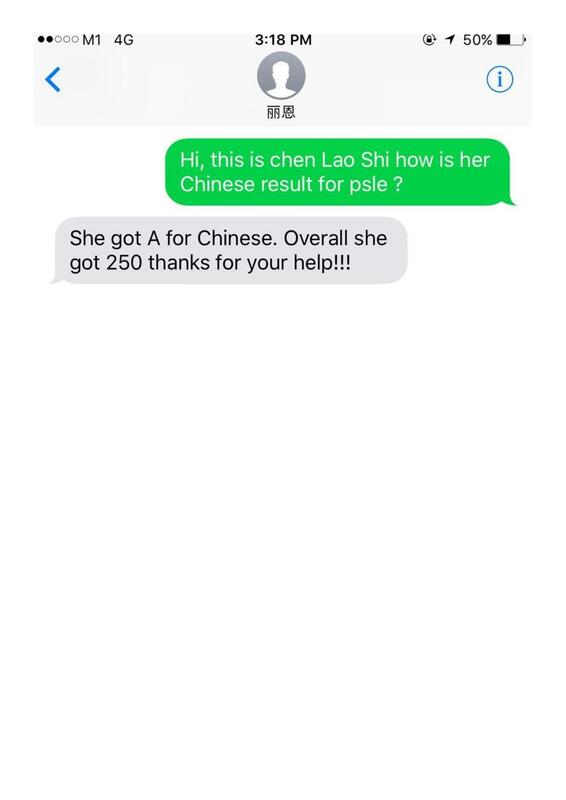 She scores A1 in “O” Level Chinese 2012, after attending classes here for about 3 years. She has been very diligent and perseveres in her learning. Congrats!! Classes are very fun and engaging! Lessons are very interesting and helpful and the teaching materials are very useful. I enjoy attending lessons here. My Chinese improved significantly after attending classes here. The teachers are extremely patient and have helped me alot! This center has become better than what I have expected from the start when I have started at this center. Everything (almost) is provided in this learning center like the materials for studying, they were all "made" by themselves. 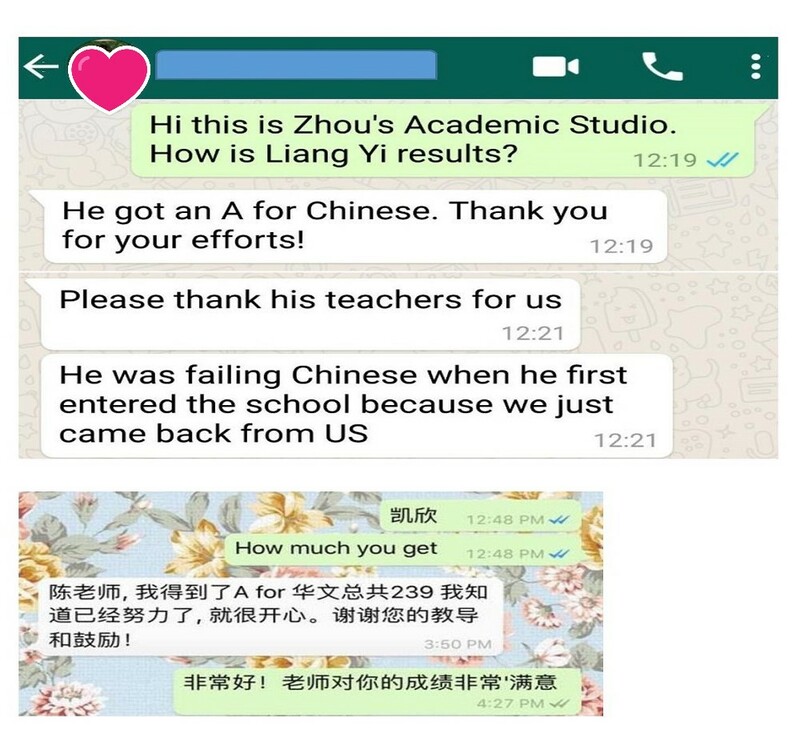 People who could not do well in their Chinese, after coming with the right attitude, manage to get most of the time A, rarely B and probably most of the time A*. Teachers were all professional in doing things and also given proper training. They expose me to many different Chinese words, expanding my vocab. They make me like Chinese composition and hence my composition has improved. The teacher explains clearly, I understand 90% of the things taught. I love this centre and I'm happy whenever here. Provided with top quality materials and an exceptional learning environment, this learning center can help boost your Chinese language. Though worksheets give a challenge to the students allowing them to expand their knowledge of Chinese language, different from the repetitive techniques of other learning center. It provides the students with good studying materials. The center also has professional teachers to guide the students along their way to nurture their Chinese language. It also provides the students with a good studying environment. 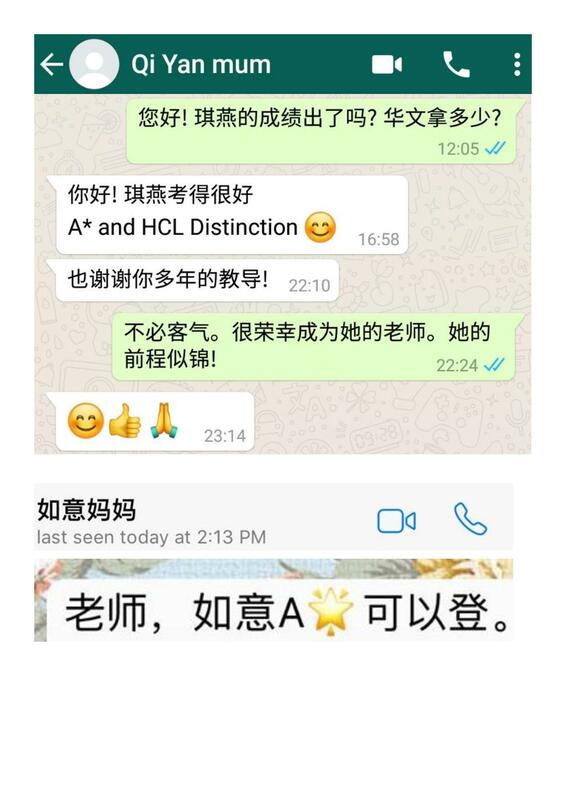 Although the center's worksheets are tough, they help build the bilk of our Chinese so that we will not encounter any problems in our school. This class is very interesting, the teacher is also very kind-hearted and his teaching method is also good. I learn a lot of new words and very good phrases. The worksheets are of a high standard and the lessons are structured closely to our school's curriculum so we can learn more effectively. The teachers here are professional and understanding and the learning environment is comfortable and conducive. I like the teachers here as their lessons are engaging and interesting. Also, the enironment here is very conducive. The materials provided by the teacherse are very useful and easy to understand. It is very fun and interesting. 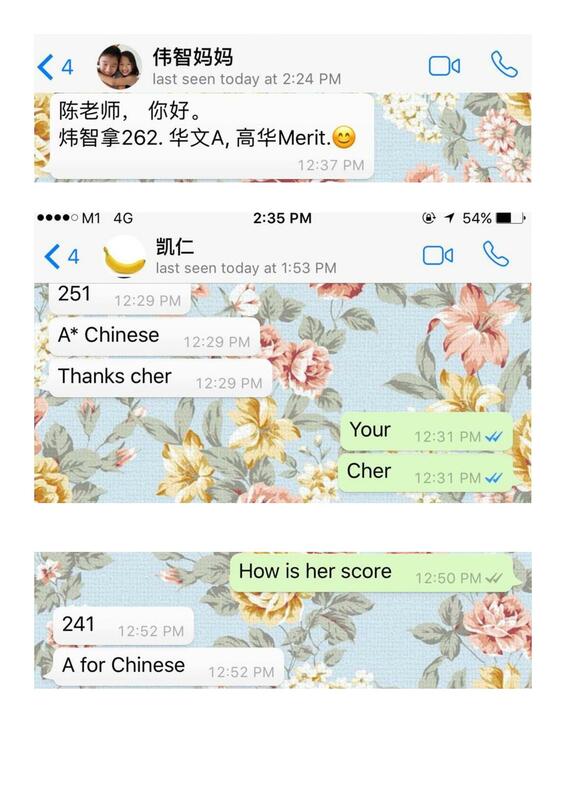 I learnt a lot of Chinese from Zhou's Chinese class. The learning environment here is very conducive and comfortable. The teachers are also very good as their lessons are very engaging and interesting. The worksheet and notes provided are also easy to understand and extremely useful.